TOKYO — Organizers of the 2020 Tokyo Olympics are concerned about it. 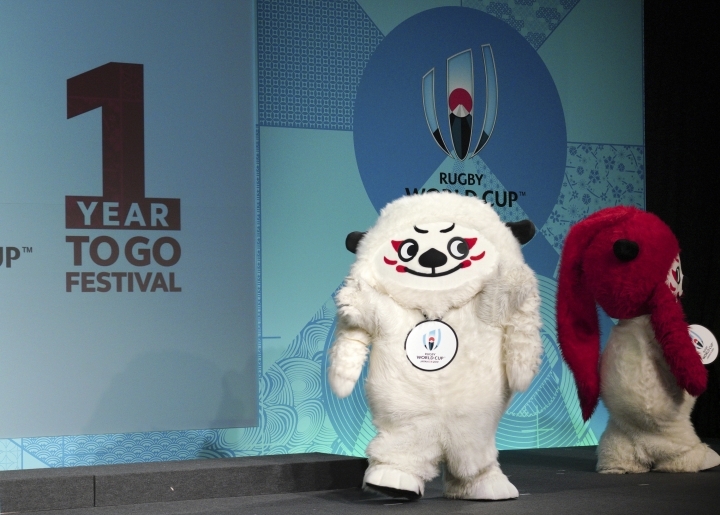 So are those running the Rugby World Cup in Japan, which opens with Japan facing Russia on Sept. 20, 2019, in Tokyo. The concern? Natural disasters, like earthquakes and typhoons. This month, the strongest typhoon in 25 years hit the western part of the country, killing 11. A few days later, 41 people were killed by a powerful earthquake on the northern island of Hokkaido. "It's a real hot topic for us right now," tournament director Alan Gilpin said. The Rugby World Cup, held every four years, is big. It lasts more than six weeks with 20 teams entered in four pools headed by New Zealand, Ireland, Australia, and England. Some of the sport's lesser powers are also involved like Uruguay, Namibia, and Russia. Of the contingency planning for extreme weather, Gilpin said: "It's a complex piece and something we would do for every tournament. But this one has a heightened sense of realism to it. We have to take it seriously." Gilpin pointed out that although Japan is subject to earthquakes in particular, no country is better equipped to handle them. "There's also a heightened sense of comfort that Japan deals with these issues all the time. It's not as though we're dealing with a one-off here." 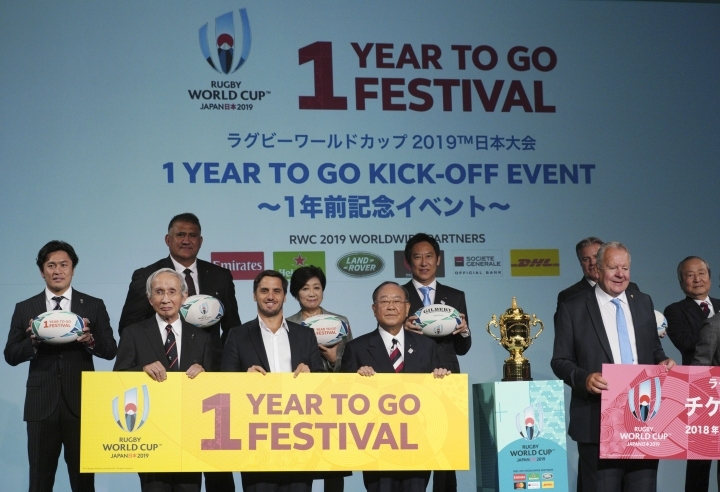 It's the first time rugby's showcase event will be staged in Asia, having started in 1987 with a Rugby World Cup held jointly by Australia and New Zealand. The tournament has also been hosted across Britain and Ireland, France and South Africa. Japan caused the biggest upset in Rugby World Cup history with a win over South Africa in England four years ago and has a growing following of fans, adding extra intensity to the opening match. The remainder of the opening weekend is set to feature some heavyweight matches, with three-time and defending champion New Zealand meeting South Africa in Yokohama, France playing Argentina in Tokyo, two-time World Cup champion Australia facing Olympic sevens gold medalist Fiji in Sapporo, and Ireland and Scotland going head-to-head, and England taking on Tonga. There's already tension rising among some of the leading contenders after last weekend when South Africa beat the All Blacks in New Zealand for the first time in nine years, and Argentina edged the Wallabies in Australia for the first time since 1983. About 1.8 million spectators are expected in 2019 to fill stadiums in 12 cities around Japan, and the TV broadcast will go to a record global audience. 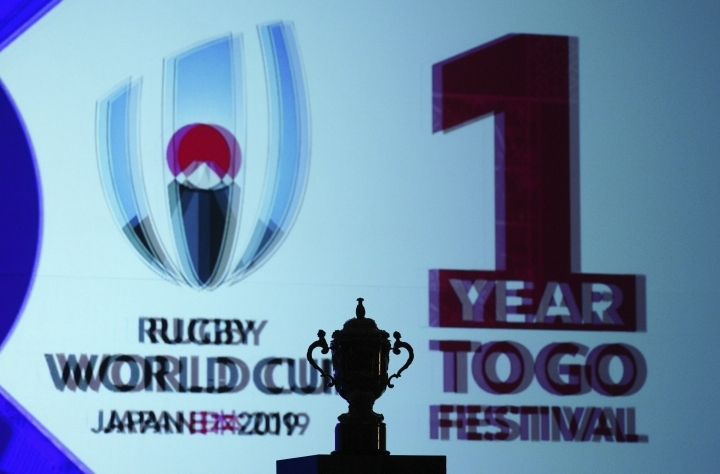 "World Rugby selected Japan as we believed in the tremendous opportunity to further the sport across Asia, and I am delighted to say that with a year to go, we are confident that Japan 2019 will be a very special, successful and game-changing Rugby World Cup," World Rugby chairman Bill Beaumont said. 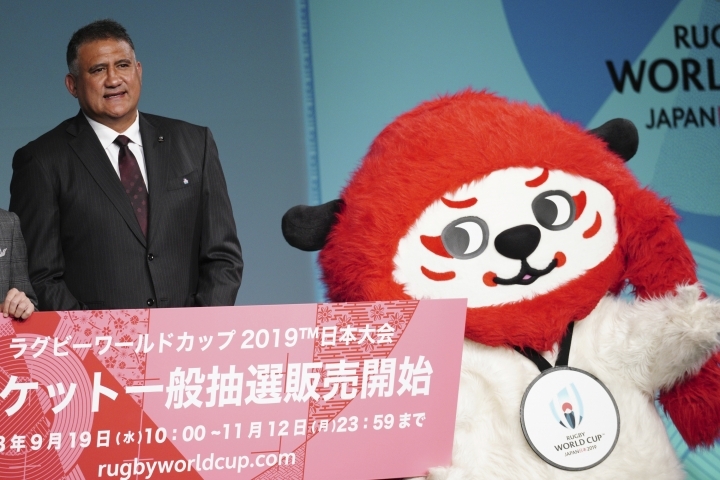 "It will be the most impactful Rugby World Cup ever, attracting and retaining more than one million new rugby players in Asia."